SeaWorld and its former CEO have agreed to pay more than $5 million to settle a federal probe into allegations of fraud at the marine animal park company. SeaWorld was accused of misleading investors about how much of an effect the documentary film "Blackfish" had on the company's reputation and business, the Securities and Exchange Commission said Tuesday. The 2013 documentary, which was produced by CNN, was heavily critical of the way SeaWorld (SEAS) treated the orcas it held in captivity. The company has disputed certain points in the documentary. A complaint filed by the SEC claims that SeaWorld and former CEO James Atchison weren't initially forthcoming about how much the business struggled with the bad press it received after "Blackfish." For about a year after the film's release, the company made "untrue and misleading statements or omissions" about the film's impact on the business in government filings, on earnings calls and in press statements, according to the SEC. In August 2014, SeaWorld finally acknowledged that declining attendance figures were partially caused by negative publicity, the SEC said Tuesday. Shares of SeaWorld stock plunged nearly 33% the day SeaWorld released earnings that month. "SeaWorld described its reputation as one of its 'most important assets,'" said Steven Peikin, co-director of the SEC Enforcement Division, in a news release. "But it failed to evaluate and disclose the adverse impact 'Blackfish' had on its business in a timely manner." SeaWorld and Atchison will not admit or deny the allegations as part of the settlement terms. SeaWorld is paying a $4 million penalty, while Atchison will pay more than $1 million, according to the SEC. The settlements are still subject to court approval. 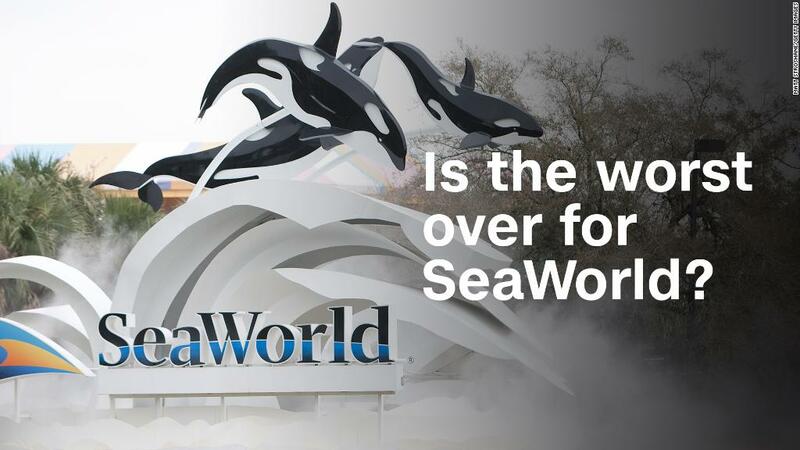 SeaWorld acknowledged the settlements in a statement to CNNMoney on Tuesday. "The Company is pleased to have resolved this matter and to continue to focus on delivering superior guest experiences, world-class animal care and rescuing animals in need," SeaWorld said in a statement.